Mike Klonsky's Blog: Have unions learned their lesson on early endorsements? Have unions learned their lesson on early endorsements? 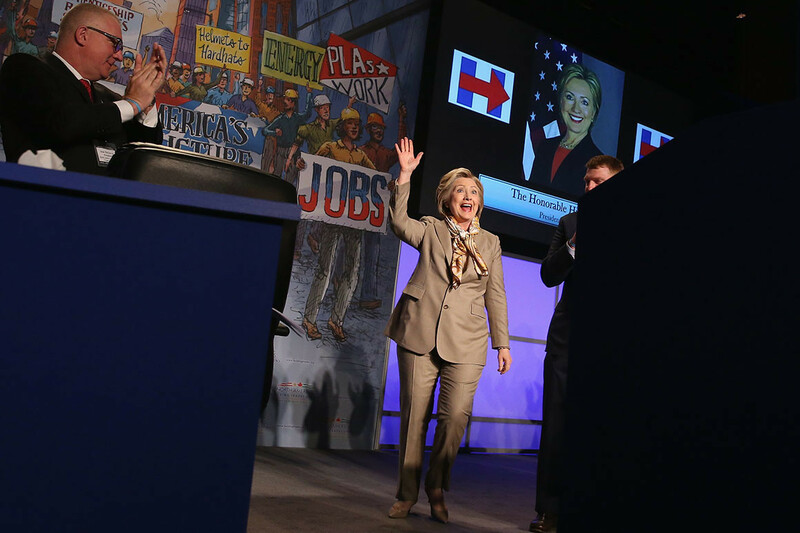 In 2016, Hillary Clinton received early endorsements from the two big teacher unions. But many of their members ultimately campaigned for Bernie Sanders. Organized labor is still traumatized after the 2016 Democratic primary, when several unions endorsed Hillary Clinton early on, only to see the decision backfire when portions of their membership bolted for Bernie Sanders. So write Politico's Ian Kullgren and Natasha Korecki. Yes, that's exactly what Randi Weingarten and the AFT leadership should have done in July of 2015, six months before the Iowa caucuses. They raced ahead of their own teacher members to be the first ones out there to demonstrate their fealty to the party leadership in exchange for what they hoped would be a "seat at the table." Their tactical objective was to kill off a Sanders insurgency before it got started. There were no negotiations with the Clintons, and nothing offered by Hillary to union teachers in return. The early endorsement also represented a show of top-down, undemocratic force directed against union dissidents who wanted Sanders, not Hillary. The early endorsement by AFT and NEA leaders not only failed to carry the day for Clinton, but it sharpened the divide within the union where the struggle seemed to be more directed at the insurgents on the left than at Trump and the Republicans. A similar dynamic played out at the NEA where the Vermont union preemptively endorsed Sanders as national leaders moved to endorse Clinton. They thought they would be with the winner, and unfortunately it was their positioning to be with that winner,” said Larry Cohen, former president of the Communications Workers of America and a close adviser to Sanders. Now, many union leaders are vowing not to make the same mistake again. But I can't imagine Weingarten doing anything differently this time around when it comes to endorsing Joe Biden. CTU jumped out early to endorse Preckwinkle and then stuck with it in her losing run against Lori Lightfoot. Here in Chicago, the CTU's early endorsement of Cook County Democratic Party boss Toni Preckwinkle in her primary campaign for mayor brought back troubling memories of 2015. 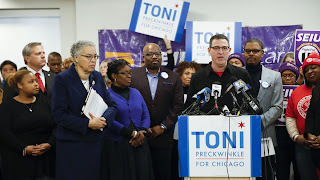 When the endorsement carried over into Preckwinkle's runoff campaign against Lori Lightfoot, it not only forced members to foot the bill for a losing effort against an overwhelmingly popular and progressive Lightfoot, but led to a bitter, vitriolic internal campaign against Lightfoot supporters and neutrals even though Lightfoot and Preckwinkle held similar positions on education and labor issues. CTU Pres. Jesse Sharkey claimed that the choice was made at least in part because Preckwinkle “gives us better leverage in a contract fight." Even if that were true (which I doubt), it makes the endorsement that much more suspect. I'm sure that his quote will be used by anti-union, "right-to-work" conservatives who want to take away union rights to have election PACs. I support unions flexing their muscles (what's left of them) to support pro-labor candidates who agree to pursue a pro-labor list of demands. But endorsements should be made carefully and only after democratic internal debate with r&f voices being heard, especially dissident ones, and then given in exchange for something tangible. The pathway to rebuilding a decimated union movement depends mainly on the militancy and unity of the members, not on divisive early paper endorsements in hopes of a pat on the head from elected officials.